Some of our clients have a reason why they will not live in their house in New York for a particular period of time. Perhaps an employment assignment in another location has caused the homeowner to leave the area for a set period of time and the homeowner intends to return to the house. Maybe the homeowner is downsizing, but the sale market is not strong enough to command the price sought by the homeowner. 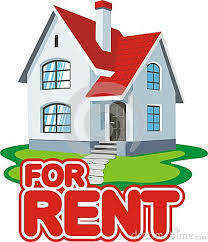 For those intending to rent their home, we wish to convey the following advice. We suggest that you have professionals involved. Engage the service of a licensed real estate broker. The fee, usually one to two months’ rent, is a relatively modest amount to pay to insure that a professional locates a reliable tenant. If you decide to forego the services of a real estate agent , make sure that you carefully evaluate the proposed tenant by obtaining references from prior landlords and perform a credit check. Whether the tenant is located by a real estate broker or by your own efforts, trust your instinct if the tenant raises any concerns whatsoever and do not rent the house to such a person. Prior to the delivery of possession, walk through the house with the tenant, in order to show how appliances work and to document conditions together. We also recommend that you engage the services of an attorney to have a lease drafted by a professional. A professionally drafted lease is important to have for several reasons. It will clearly identify the appropriate provisions, even if the relationship with the tenant ends up going smoothly. Your attorney will be prepared to cover changes in the law that the landlord may not be familiar with, such as the requirement to advise the tenant whether an automatic sprinkler system is present at the premises. In the event that a legal proceeding is required against the tenant for non-payment and other matters, having a professionally prepared lease will most likely cover items that protect the landlord in such a proceeding. If you intend to rent the house repeatedly, you may want to ask your attorney to also provide a form that can be used by you in the future as your needs warrant. Some of the provisions that you may want to include in the lease are as follows. Whether you want to return to live in the house or intend to sell it eventually, you want the tenants to take good care of the house. You may want to require the tenants to continue to use the same vendors that the owner has used, for such matters as appliance repairs, tree pruning, landscaping and gutter cleaning. You may also want the tenant to be required to have the gutters cleaned a certain number of times per year. Tenants should be required to demonstrate that they have adequate renters insurance, so that their possessions are also covered if there is a casualty such as a fire. Other provisions that a landlord may expect include a tenant’s request to have the house painted or other work done by the landlord before taking possession. The landlord should maintain flexibility. For instance, offer a renewal clause at the landlord’s option at a rent to be established by landlord. That way, the landlord will not necessarily be committed to the tenant for the long term and may be able to sell the house more readily when the lease expires, if he finds that the timing is right. The landlord should also maintain the ability to show the house to potential renters or buyers during the last sixty to ninety days of the lease. Further, the expiration date of the lease should be linked to the spring market. Having a lease expire in December is not helpful to the landlord because many buyers are not looking to buy a house during the winter. Moving the expiration date a few months forward would be beneficial to the landlord. If the tenant is renting because of a job assignment, he may request to allow an early termination of the lease if another job assignment takes him more than a set number of miles from the house. Should the landlord determine that he does not want to return to live in the house, putting the house on the market may be the right move. In our experience, renting a house for many years puts undue wear and tear on the property, leading to a lower sales price. It is better to sell the property once the landlord recognizes that he will not return. Also, should a tenant fail to meet obligations to the landlord, seek legal assistance promptly, so that payments can be collected or the tenant removed from the property as soon as possible. Our attorneys are prepared to assist you in legal matters that arise as a result of renting your house.